Please Pray Hard until October 1st. As of July 28, 2018, there is not enough prayer to prevent a collapse of the Freedom Tower in New York City (USA). Everyone needs to pray a daily Most Holy Rosary or Divine Mercy Chaplet along with the novena prayer to God the Father to prevent this prophecy from happening. Below are the recent prophecies about the Freedom Tower collapse from two Catholic mystics. I am also including significant videos about the collapse of the Twin Towers on 9-11. If the collapse of the Freedom Tower happens, it will be a tremendous feat by the new world order and the radical terrorists, clearly signaling the presence of a ‘shadow government’ within the U.S. Federal Government. The collapse of the Freedom Tower might set in motion another world war and anarchy in our country. We must pray hard to defeat this act planned by satan. Thank you. JESUS: My dear one, it is I your Savior, Jesus of Nazareth. Anna Marie: Yes my Lord. May I ask please, will you bow down and adore your Heavenly Eternal Merciful Father who is the Alpha and Omega, the Creator of all life, of all that is visible and invisible? JESUS: Yes my dear one, I your Loving Savior Jesus of Nazareth, will now and will always bow down and adore my Holy Eternal Merciful Father, who is the Alpha and Omega, the Creator of all life, of all that is visible and invisible. Anna Marie: Speak Jesus my Lord, for your sinful servant is now listening. JESUS: My beloved one, I know you are suffering today. My dear one, I will help you today to endure your sufferings which are needed today. Be in peace. JESUS: My dearest one, there is a plot being developed now to attack your nation. There are many who want to harm your nation. I am asking that you and my beloved Apostles, pray very hard for this attack to be stopped. With prayer, your Country can be protected from those who serve evil. Anna Marie: Yes my Lord. May I ask WHEN my Lord, and WHAT is the nature of it please? (I heard the Holy Spirit say, “High-rise” and “Explosion”). JESUS: My little one. You have many in your nation who are evil and are scheming to do evil, to harm innocent lives. I will say this attack is scheduled over this Summer so please make certain it is posted as soon as possible so my beloved Apostles can pray to prevent its occurrence. A novena would be sufficient. Anna Marie: My Jesus, what Novena? JESUS: A Novena in honor of my Glorious Father in Heaven. Anna Marie: Yes Jesus. Shall we say this Novena daily? JESUS: Yes, throughout the Summer months. Anna Marie: Yes my Lord. My Lord will we know when the danger has passed? JESUS: Yes, in October if there has not been an attack on your nation, then you will know my Father interceded because of my Apostles great prayers of mercy. Anna Marie: Yes Jesus. Thank you Jesus. JESUS: Now be in peace today. Your sufferings will soon pass and healing shall overcome. Anna Marie: Thank you Divine Lord. Praise you my Lord. We all love you Jesus. Thank you Jesus. As I was looking for an appropriate novena prayer in honor of our Heavenly Father, I opened my Raccolta and found a bookmark that had a Heavenly Message from Jesus on it, dated May 11, 2016. The prayer was entitled: Prayer For Protection Of Our Nation. We are reprinting it here for your praying, please do as Jesus has asked, we should recite this prayer before our Holy Rosary and/or Chaplet of Divine Mercy daily throughout the summer months until October 1st. 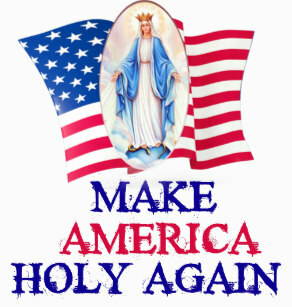 http://www.johnleary.com and maryrefugeofholylove.com but conforms Clare’s earlier message about a flag false event coming by the deep state and one world people to stop Trump from releasing ‘FISA’ documents and making arrests. Please, let’s prayer The Divine Mercy Chaplet, The Holy Rosary or The Novena To Holy Father every waking hour to prevent WW 3, this destruction & loss of life. Why Does God Allow Suffering ? It’s hard to comprehend, understand and get our heads wrapped around human suffering. We don’t get it or understand why the world sufferings goes unbated continually year after year, month after month and decades after decade? We agonize, over this and we ask ourselves, “If God is up there and He’s so loving, kind, good and gentle then why, why does he allow all this suffering in the world? Why does he let teens kill themselves, take drugs poisoning their system to the point of death? Why does God allow drugs to be manufactured in the first place? Questions, questions and more questions we have for God. We would ask, him and say, “God why do poor children of entire countries starve to death when America is over flowing with food? Why are babies being murdered, killed and butchered by those charged with their care while their killers walk free? Why would a loving God sit up in heaven watching all this sin and corruption going on and simply do nothing to help those he created? We’re frustrated over this to act. We ask but have no answers. We don’t understand God’s silence – his nonaction and his failure to act. Why is he not helping us or at least stopping and putting an end to the corruption, evil and wickedness in the world? We want explanations. We want answers. You say, you love us dearly, yet you don’t explain to us why you would allow such evil to happen. We do not understand God’s sovereignty or how he operates in our world nor do we understand his system of operating. God does not waste anything. In the story, when Jesus fed the five thousand of those who came to hear his sermons he and his disciples took up baskets of leftovers after everyone had eaten and were full as not to waste anything others hungry people could eat later .This story is found in Matthew 14:13-21. God allows all types of suffering, pain, heartache, sickness and diseases suicide, robbery’s, grief, sadness, murderers and even rapes for the good of people who have need of your suffering in the world. There is no person on earth that does not suffer in some way or another. God allows suffering in everyone’s life to help, aid, assist and alleviate the pain and other sufferings all over the world. This is God’s system and his mode of operating. God does not waste anything as I mentioned earlier but he e uses everything to help everyone in the world pain and suffering does this. It’s hard to understand the workings of our heavenly Father. Romans 8:28 says: And we know that all things work together for good to them that love God, to them who are the called according to his purpose. In other words, if I’m suffering through a toothache chances are that someone else in the world is seriously suffering badly over a toothache, yet I suffer for them and for their deliverance. Instead of complaining I should pray and give glory to God. It’s called: bearing another’s burden. Galatians 6:2 Bear ye one another’s burdens, and so fulfil the law of Christ. The same is true for all suffering in the world we all suffer for one another. I don’t understand how God does this but since he wastes he uses everything – even our inconveniences, frustrations, irritations, bitterness and emotions. In the same way, your suffering or sickness helps the neighbor down the street or down the road or across the world. Yes, God does allow suffering and horrible atrocities in our world, but he has a reason for suffering, he has a reason for our pain – help me and you when it’s our time to go through. Our Lord Jesus Christ suffered brutally and tremulously more than anyone else could ever suffer or endure for the sins of the world. So, the next you have a pain, an ache or have some sort of pain, sickness or uncomfortable or an inconvenience don’t get unglued, complain or get down in the dump instead chalk it off as a learning experience and an opportunity for Father. Consider, the story of Job 1:7 And the Lord said unto Satan, Whence comest thou? Then Satan answered the Lord, and said, From going to and fro in the earth, and from walking up and down in it. 8 And the Lord said unto Satan, Hast thou considered my servant Job, that there is none like him in the earth, a perfect and an upright man, one that feareth God, and escheweth evil? 9 Then Satan answered the Lord, and said, Doth Job fear God for nought? 10 Hast not thou made an hedge about him, and about his house, and about all that he hath on every side? thou hast blessed the work of his hands, and his substance is increased in the land. 11 But put forth thine hand now, and touch all that he hath, and he will curse thee to thy face. 12 And the Lord said unto Satan, Behold, all that he hath is in thy power; only upon himself put not forth thine hand. So Satan went forth from the presence of the Lord. In Job’s story, God bragged on him. He knew Job was faithful and would not sin against him. Satan tempted Job to sin, but he did not. He remained faithful to God enough though God allowed him to suffer terribly., Job did not sin but he suffers much. Job’s sufferings were meant to test Job’s faith not hinder him. 1 Peter 1:7 That the trial of your faith, being much more precious than of gold that perisheth, though it be tried with fire, might be found unto praise and honour and glory at the appearing of Jesus Christ: You must remain faithful when we are being tested in sufferings and cooperate with Holy Spirit let him finish the work he started in you to completion and for your perfection. You are going to go through the fires of purification to make you what God wants and needs you to be because of all that will come upon the world before Jesus returns. Let God make you who He knows you can be and go through your suffering with joy and not sadness. God is preparing you for heaven and using your sufferings to bring souls into the kingdom. Don’t stop the progress of God by complaining, pouting or having a pity – party because when you do these things you literally stop the move and power of God working in you. Not everyone can receive this message. Not everyone is tuned into God. The scripture in Matthew 22:14 says, “For many are called, but few are chosen”. The invitation to come to the LORD is to all, but not all sadly will come to Jesus. Some people will see themselves as unworthy because of past sins, behavior and lifestyle. Jesus paid for all our excuses when he died on the cross he nailed each one of our excuses on the cross so we are with excuses. There is no reason for our excuses – we can all come to Jesus without excuse. There is nothing outside of us that can keep us from serving him with all our hearts. Our problems are internal not external – it is ourself and no one else. Jesus took the keys away from Satan when he descended into Hell so the devil can’t even stop those who truely want to come to Jesus – all they need to do is ask. Our Lord loves us so much and is anixously waiting for all of us to come to him in faith – all we need to do is come. Jesus made sure of that. Again, we are without excuse why we cannot surrender our lives whole-heartedly and every part of our lives to the Lord. After all, he is not asking us to do anything he haven’t done himself. He willingly came to earth for one purpose that was to save the dying world from sin – this includes YOU and all who are lost. You may not believe this -but you are one of those lost. Jesus found you…now you must find Jesus and give Him your too HIM. So the next time you’re suffer through something – think of your neigbhor and what they may be going through – perhaps, you are going through your suffering for them. In that case, smile you’re suffering for them! Posted on January 21, 2018 January 31, 2018 Categories UncategorizedTags Allow, Disasters, God, pain, suffering, Why?, ]Leave a comment on Why Does God Allow Suffering ?